Roselyn V. McKittrick 84, long time resident of Milan, IN passed away peacefully surrounded by her children at the Ripley Crossing Nursing Home on Saturday March 16 after a short illness. Born in 1934 in Forrest City Iowa, the child of Gladys and Melvin Knutson. Roselyn had a memorable childhood growing up on an Iowa farm with her four brothers and sisters. Upon graduating high school Roselyn left the farm and moved to Minneapolis before securing a job with TWA Airlines in Chicago. She then lived and worked in Washington D.C. where she met her future husband. Married in 1955, Roselyn and John and moved to Milan where they raised three children Dennis, Rhonda and Tom. Roselyn will be remembered as a dedicated advocate for her adopted home town of Milan. Her multiple contributions to Milan included resurrecting the historic King Hotel and transforming it into the highly successful Rail Road Inn. Through her tireless efforts Roselyn transformed the decaying hotel into a thriving and highly popular restaurant which is fondly remembered by many. Roselyn’s legacy is most tied to her founding of the Milan 1954 Museum celebrating Milan’s David and Goliath victory in the 1954 State Basketball Championship. The museums humble beginnings began in a corner of Roselyn’s antique store, Milan Station Antiques on Carr Street. Roselyn worked tirelessly to ensure the story of the Mighty Men of Milan was preserved and shared with younger generations. Her efforts led to the development of the Milan 54 Museum located in the fully renovated former bank building. The museum has welcomed visitors from dozens of countries and thousands of basketball fans from throughout the US. One of Roselyn’s greatest joys was retelling the tales of Milan’s epic 1954 Championship, the story that inspired the 1986 movie Hoosiers. Roselyn shied away from recognition however her tireless efforts in preserving the story of the Milan Miracle was featured in hundreds of articles and news reports. 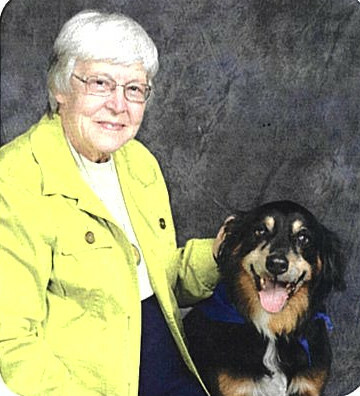 Roselyn will be remembered by many for many things including as: a 34-year breast cancer survivor; long time member of the St Paul Lutheran Church; unofficial town historian; and supporting multiple causes and programs within the community. She is survived by her children, Dennis McKittrick, Milan, Rhonda Harvey, Chicago, and Tom (Kristen) McKittrick, Charlotte, NC; 5 grandsons Eric McKittrick, Brian McKittrick, Riley Harvey, Max McKittrick and Tyler McKittrick and 3 great grandsons: Easton, Grant and Beau McKittrick, and her sister Dorothy Weir. A service celebrating her life will be held at 10:30 AM Saturday, March 23, 2019 at St. Paul Evangelical Lutheran Church 7124 North State Road 101 Milan, Indiana 47031, with Pastor Sue Socha officiating. No visitation prior to the service, fellowship will follow the service at the St. Paul Lutheran Church Hall. Laws-Carr-Moore Funeral Home entrusted with arrangements, Box 243, Milan, IN 47031, (812) 654-2141. You may go to www.lawcarrmoore.com to leave an online condolence message for the family.